INDIANAPOLIS (December 5, 2017) — A new season, new equipment and a new plan has 18-year-old Austin Nemire back on track for 2018 where he will compete full-time on the USAC Silver Crown Champ Car Series trail. Nemire/Lesko Racing has upgraded their equipment on both the dirt and pavement surfaces. On the dirt, they have acquired the equipment that Mal Lane campaigned for driver Mark Smith in 2017. For the pavement, the team has purchased the equipment formerly piloted by Tracy Hines for Lightfoot Racing and, most recently, by Rex Norris III. Though just a teenager, Sylvania, Ohio’s Nemire already has three years of Silver Crown experience under his belt. Yet, after 20 starts and two consecutive 8th place point finishes in his first two seasons in 2015 and 2016, last year’s campaign was much more of an abbreviated tone. In five starts, all on dirt, for Bob Lesko’s outfit, Nemire ran a best of 7th after starting 15th in the “Horn/Schindler Memorial” at Pennsylvania’s Williams Grove Speedway. 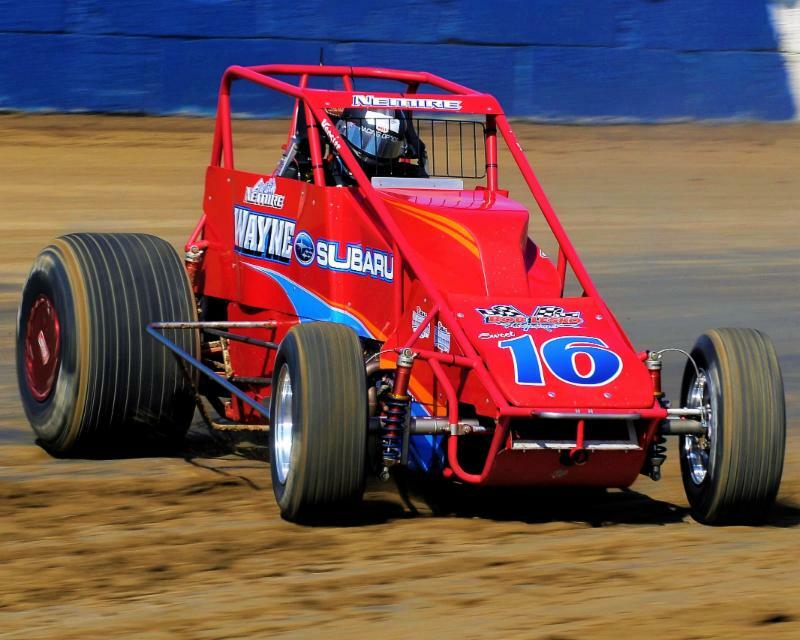 The 2014 USAC Midwest Dirt and Pavement HPD Midget champion raced to his, thus far, career-best finish of 3rd in his sophomore season at Gateway Motorsports Park (Madison, Illinois) in 2016. This year, however, Nemire has his rides aligned and his ducks in a row as he aims to make the next big jump in his young career. Transitioning from an HPD Midget to a Silver Crown car is a big leap, but Nemire has demonstrated a steadying rise as he adapts to the feel of a “big car” for 100-miles on two vastly different surfaces, which is a step that many young drivers must learn through experience. Nemire doesn’t intend to simply ride around all season. Each year, his goals are focused on reaching the pinnacle, this year being no exception. The USAC Silver Crown, along with all of USAC’s National Series schedules, will be released Thursday morning, December 7.